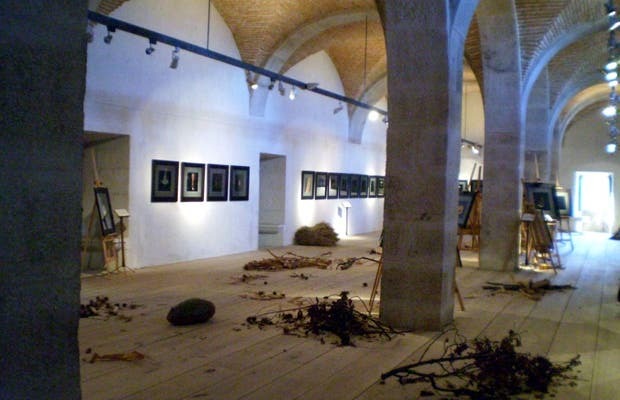 One of the units on the ground floor of the Monastery of Tibães is a temporary exhibition hall. I saw the exhibition "Anima Vegetalis - Imaginário Botanico do Mosteiro de Tibães" which ran until October 24 2009 that was a mostly photographic exhibition by the artist Pedro Gaspar Ferreira, who for processing spent 2 years living in one of the cells of this Benedictine monastery (also recreated in an area of ​​the room). The theme is nature, especially the forests of Tibães.